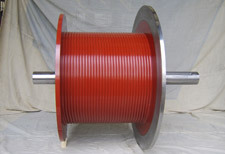 LeBus will design to provide the most practical and cost effective solution to any spooling problem. 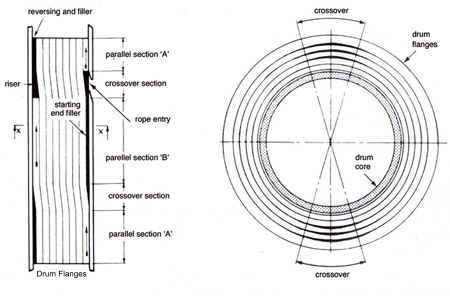 The LeBus System can be applied in various ways. 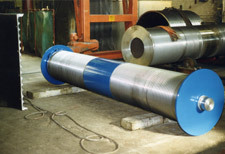 By the installation of a Split Sleeve onto a Plain Drum, by the use of a Grooved Barrel to which the client adds Flanges or by the supply of a complete Fabricated and Machined Drum to project requirements. 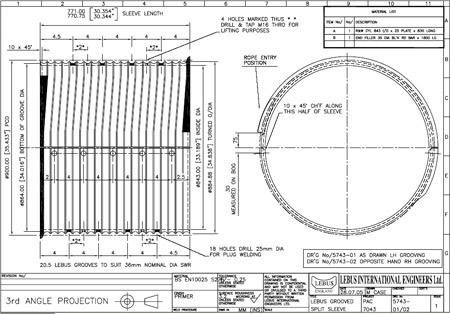 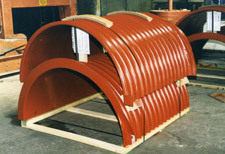 LeBus also design and produce a variety of Helical Grooved and Plain Drums for a wide range of applications. 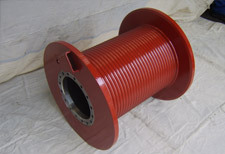 To complete the Spooling Service, LeBus can also supply Diamond Screw Type Spooling Gear Assemblies, Sheaves, Fairleads and associated Winch Components.